Following another year of record wildfires in California, the state is waging an all-out war against climate change. This week, California legislators passed a bill saying that the state needs to be fueled by 100 percent clean energy by 2045. If Gov. Jerry Brown signs the bill into law this month (which the progressive governor is fully expected to do), California will be the largest economy in the world to enact such a sweeping policy. So what is “clean” energy? Basically, anything that doesn’t rely on carbon—so coal is out of the picture. The bill originally called on the state to produce 100 percent renewable energy, but its language shifted to “clean” energy to open the door up to other sources of power, like nuclear. 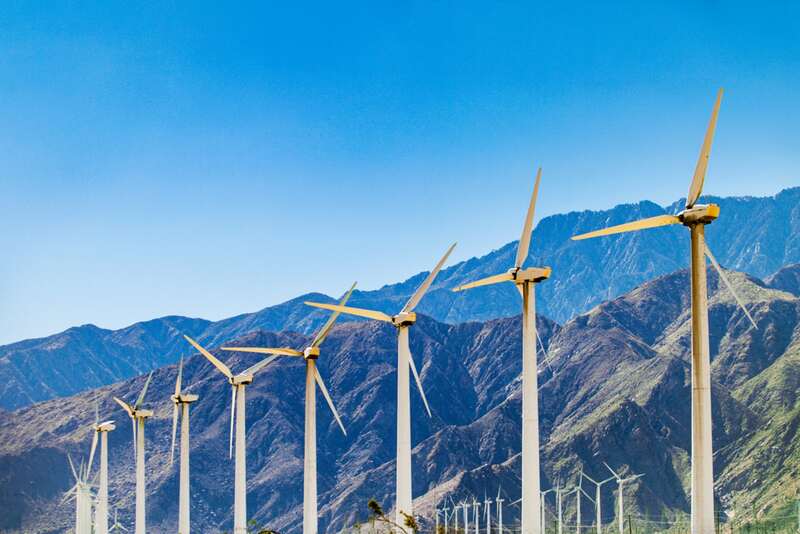 In order to stay on track with the new target, California is looking to be at least 60 percent reliant on renewable sources (think: solar, wind, and hydropower) by 2030. This is easier said than done since the state will need to find a way to ensure the lights will stay on when sunlight and wind are in low supply. Legislators are confident that investing in energy storage batteries and expanding the state grid will make renewables accessible throughout the year and create new jobs in the process. California is one of dozens of states that have committed to upping its renewable energy portfolio since President Trump pulled the United States out of the Paris Climate Agreement last summer. And considering that California’s geography makes it especially prone to droughts and floods—both of which are thought to be intensified by climbing temperatures—it has a lot to lose in an increasingly warming world. The latest research out of UCLA found that the Golden State is 300 to 400 percent more likely to experience prolonged storm sequence over the next 40 years. Is that the sound of a new precedent being set?